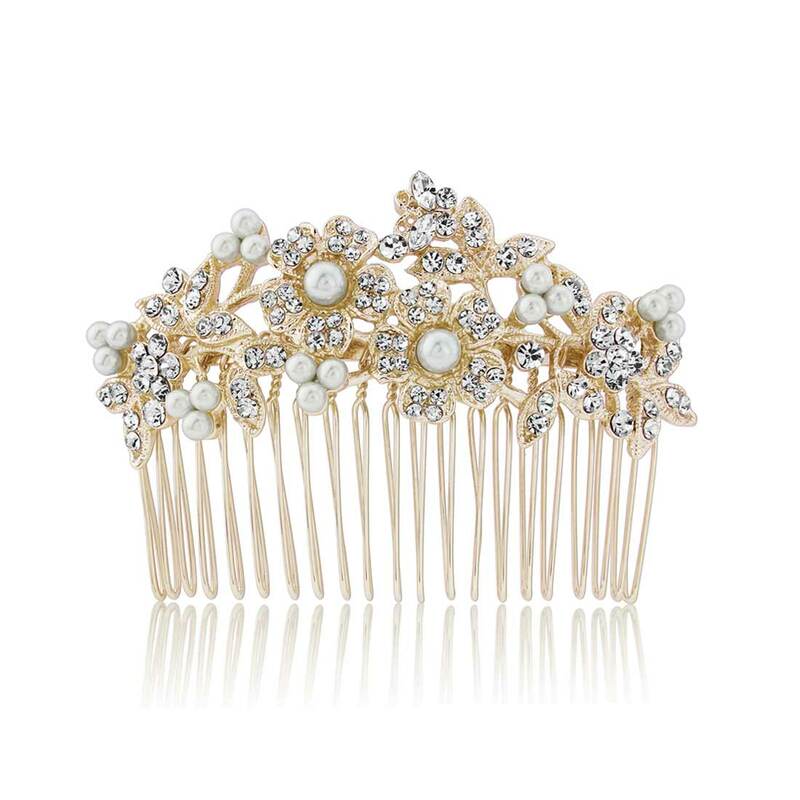 An enchanting golden crystal and pearl hair comb which oozes 1950s elegance to dress up a timeless updo in Starlet style. Featuring an enchanting adornment of gorgeous blooms, winding stems and dainty leaves, Bouquet of Gold Hair Comb blends romance with classic glamour. 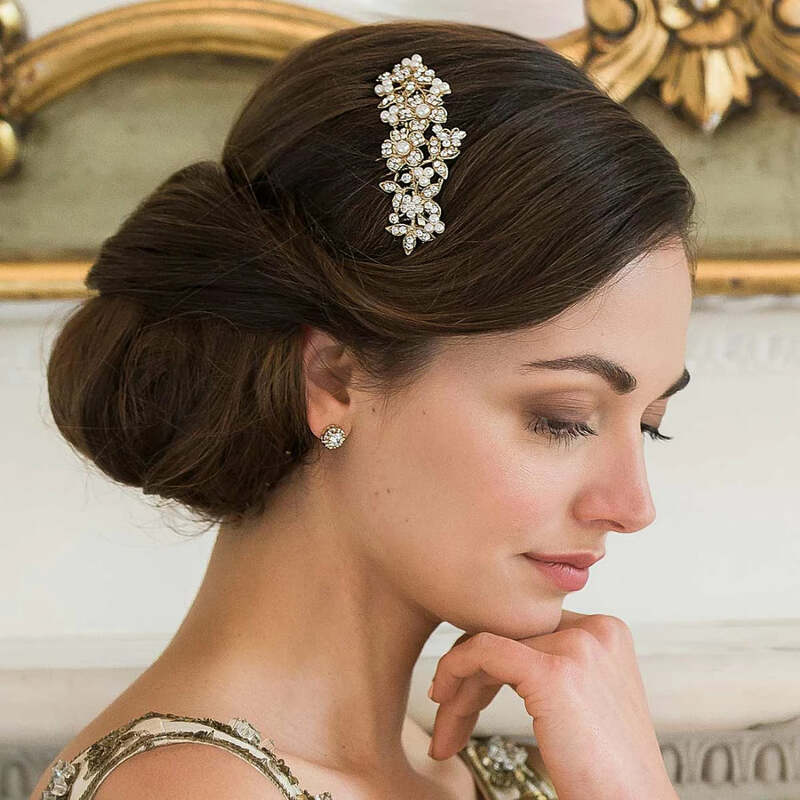 Inspired by the luxurious and timeless style of 1950s Hollywood, this pretty antique gold tone hair accessory is encrusted with shimmering Austrian crystals and ivory faux pearls - perfect to dress practically every hairstyle with vintage charm. An exquisite wedding hair comb to accentuate gilt detailing on a beautiful bridal gown or to enhance an opulent metallic colour scheme, Bouquet of Gold Hair Comb is perfect for both brides or bridesmaids. Nestled in a feminine side chignon, set along the fold of an elegant French pleat or adorning a loose, wavy half-up style, simpy team with dainty stud earrings for a sensational look worthy of an iconic Starlet.